Nose rings are best described as a piercers delight; they are to a body artist what jeans are to the average teenager. Originating in the 16 century Middle Eastern society, this piercing style has continued to retain its relevance in the world of body arts. 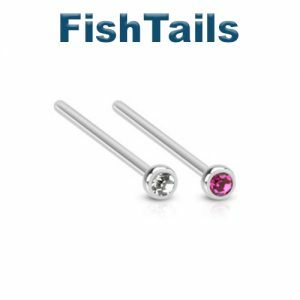 Today it is second only to earlobe piercings in terms of popularity and very much appraised for its numerous potential benefits to the health of the wearer. 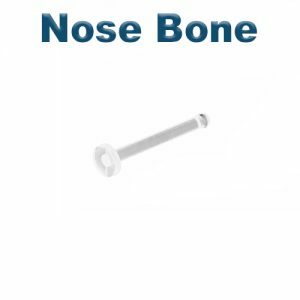 Nose screws are shaped like a sickle, with a straight and semi-curved end (the straight end bears the decorative piece). The semi-circular part is what holds the jewelry in place in the piercing. 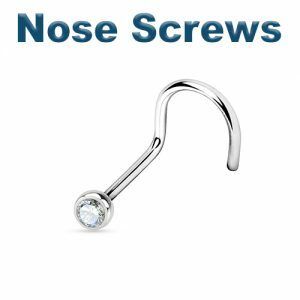 Because this fits loosely in the piercing, nose screws are relatively easier to remove and replace (with or without the help of a professional piercer). Like the nose screw, Nose bones have two distinct ends, in this case, however, instead of a semi-circle, one end is slightly enlarged to be thicker that the jewelry shaft, while the other end hosts the decorative piece. 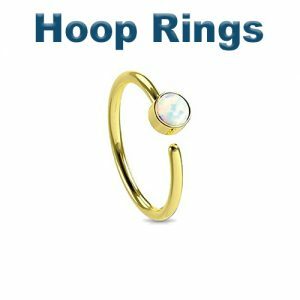 Hoops (and Circular barbells) are in an actual sense the only nose rings that bear the shape of a ‘ring.’ They come in various size and formats also, from the conventional captive bead rings to seamless rings, segment rings and the more specialized screw-on ball rings, there’s a wide variety of options to take your pick from. When choosing a hoop ring (at least for the first time) professional guidance is needed to help determine the perfect diameter and gauge combo best suited for you. The only downside to this class of nose rings is that some could be particularly tricky to fit in or remove, this is especially true for captive bead rings. The stress is, however, worth it, as these rings afford the wearer a striking look of confidence and elegance. 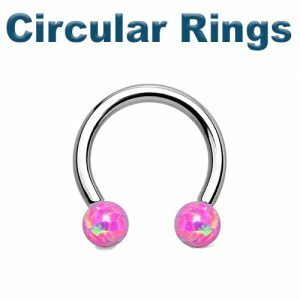 If you need an easy to fit jewelry piece to compliment your septum piercing, circular barbells are the way to go. The ease of fitting and removing allows users of this body jewelry to be discrete. Your workplace doesn’t approve of piercings? Simply remove the barbell (with ease) or better still invert and tuck it in your nose, don’t worry you’ll still breathe just fine. Whether you choose to undertake a nostril, septum, bridge, rhino, nasallang or septril piercing you are more likely than not going to feel a sting. The intensity of the sting, however, increases down the list, nostril piercings being the subtlest up till septril piercings. It is important to note that the skill and expertise of your piercer goes a long way to determine how painful the piercing procedure will get. A skilled piercer knows how to maneuver a seemingly complicated piercing to make it feel like a mere pinprick. This further emphasizes the need to seek the help of professional and reputable body artists when you need to get a piercing done. The Healing period for nose piercing varies depending on the piercing you decide to get. 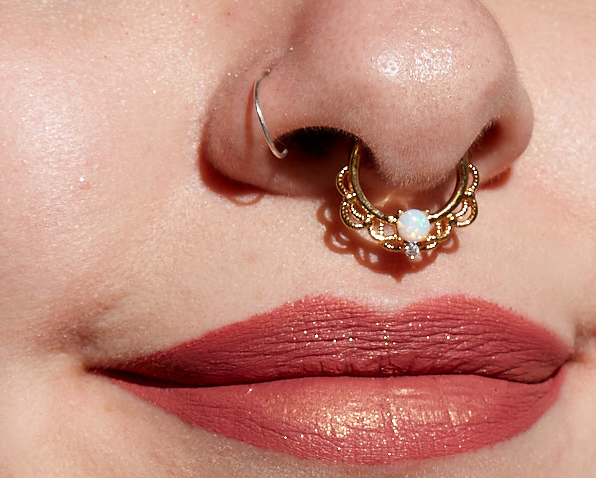 Typically Nostril piercings take about a month to heal, septum, Nasallang, Rhino, septril and bridge piercings take longer, averaging four months, Rhino piercings on the other require a great deal of patience sometimes taking up to 9 months to heal up completely. Proper aftercare is necessary to facilitate prompt and thorough healing. As a rule of thumb, do your best to shield your piercing from unnecessary dirt and friction. Practice a good hygiene and ensure to keep to your aftercare regimen.